with a speaker who is experienced and trusted. with a speaker who is trusted and experienced. 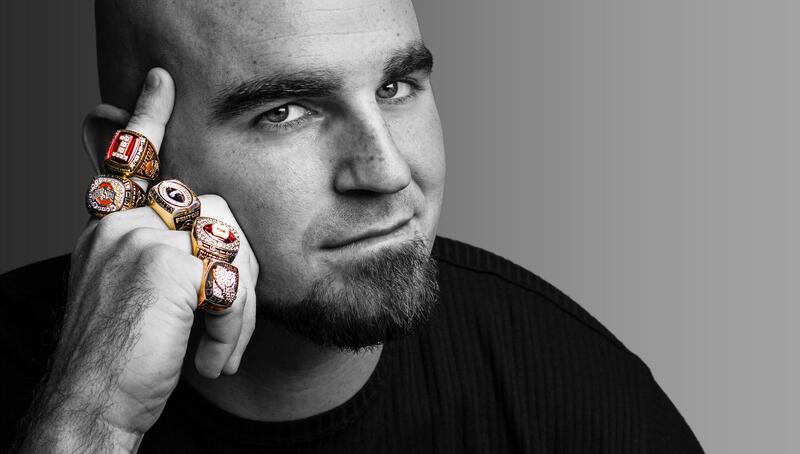 Joel Penton is a graduate of The Ohio State University and played 5 years of football for the Buckeyes. He was a member of 3 Big Ten championship teams, a member of the National Championship team, and a 4-time Academic All-Big Ten selection. In his senior year, Joel received the prestigious Wuerffel Trophy, also known as the HUMANITARIAN HEISMAN. The Trophy is a national award that recognizes the one college football player in the entire country who best combines exemplary community service with athletic and academic achievement. After graduating from OSU, Joel turned down an opportunity to play in the NFL to begin a career in full-time speaking. “My students were absolutely attentive to every word he said… I would love to have Joel back in the future to speak to my high school students again… I highly recommend him to speak at any public or private high school, or any meeting or banquet. You will not be disappointed." Simply fill out a contact form below and we’ll send you a copy. Q: How much will it cost to have Joel speak to my students? One millon dollars! Just kidding. No fee is set in stone for Joel to speak. We would love to work with you to make a huge impact while staying within your budget. Submit a contact form HERE and Joel’s booking manager will be in touch within two business days to discuss details. Q: I’ve been researching some other assembly programs. Is Joel’s presentation better than other ones out there? Of 408 school administrators and teachers who have submitted feedback, 93.4% indicated Joel’s presentation was better than other assemblies they have had in the past. Yeah. In fact, of that percentage, 57.1% said the message was MUCH BETTER than past assemblies. And 99.7% of respondents think Joel’s presentation would be beneficial to other schools. Q: What does Joel speak about? He shares the importance of not just making commitments, but following through and keeping commitments. Joel proves through his own personal experiences that ordinary people can accomplish great things by simply following through with the commitments they have made. Q: Can Joel customize his message to address specific topics? Joel takes his core message on commitment and can gear it toward any issue like bullying, character or drugs/alcohol. If there’s something specific you want Joel to address, just let him know and he'll do his best to incorporate it. 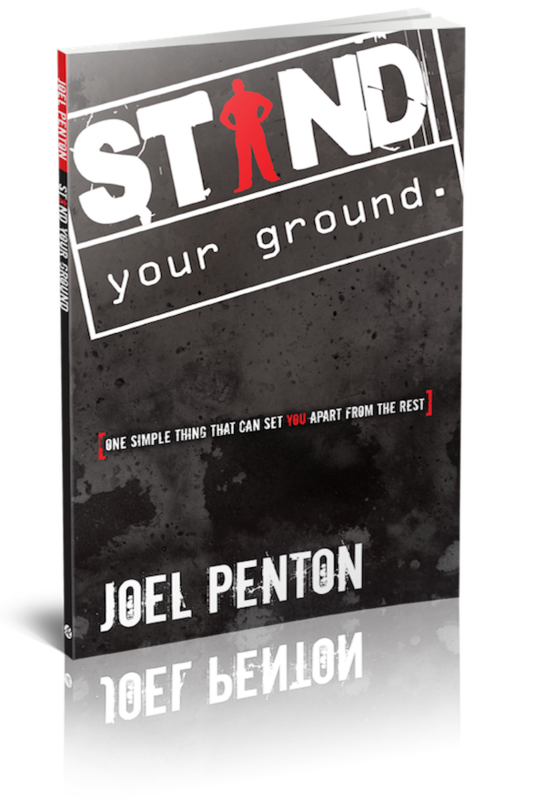 We'll mail you a FREE COPY OF JOEL'S BOOK, "Stand Your Ground," to help you decide if Joel is right for your high school or middle school assembly. Don't worry, submitting the form carries no obligation to book. Yes, shoot me occasional email updates from Joel with tips on reaching students. 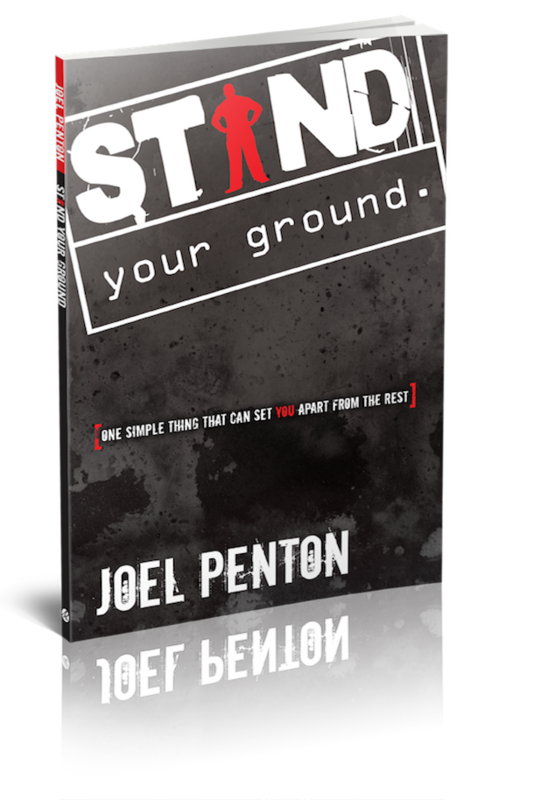 Joel's book should be required reading for all high school and middle school students. I started reading your book and couldn't put it down. Your story has really inspired me.